Over the past 4 days you’ve spent time connecting to your heart center and your higher-self. Now it’s time to bring these two parts of your being together consciously. There are times when you may find yourself feeling divided on whether you should follow what feels right, what seems logical, or your higher-self/connection to source. 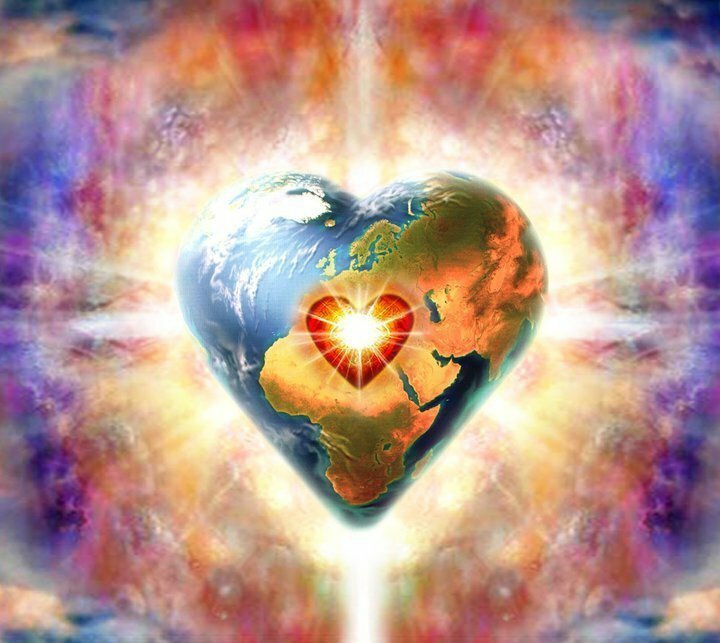 Through connecting your heart and higher-self together you alleviate the gaps between your heart and higher-self. Discernment is a skill that takes time and practice to cultivate. When we are bombarded by messages from everywhere and everyone you have to have a way to determine what is best for you. Bringing our heart and soul into alignment allows for us to discern between the many choices that exist within this world of how to live our lives. So how do you do this? Well we have gone over how to connect with our heart and higher-self. Now take this one step further. At the completion of the exercise for how to connect with your higher self, your attention was focused on your crown and third eye. Now picture your energy flowing down thru your throat chakra down into the center of your chest to your heart. Having felt the flow of energy that exists between your higher-self and source letting that connection flow down to your heart brings the wisdom those spaces hold from your subconscious to your conscious awareness. Source who is outside of our limited scope of space, time, and physical forms is all knowing. Your higher-self acts as the connection to source and when you bring your heart into the equation you now have a guidance trifecta. Let your heart lends its knowledge of what will bring you joy and comfort while your higher-self leads you towards what will serve you best. You will want to envision a steady flow of energy between your heart and higher-self. This energy flow may be yellow, white, blue, pink, or any other color. Does it have a temperature associated with it? Is it warm, cool, or just a color? If you have a question or concern once that flow of energy is consistent feel free to ask your question. Note if there are any changes in the color or how you feel during this time. Does the answer come to you easily? Pay attention to how you feel but if you find yourself becoming too distracted and your mind is wandering then focus back on your breathing and trust that your message will come to you when you are ready.